Want Raw Milk? Find it. Demand it! Want Raw Milk? Find it here! So you've read all about raw milk and are ready to try it, but you live in an area where it's either illegal or unavailable in retail stores. What to do? Well, you have a few options which we'll examine below. Another option, not for the faint of heart, would be to purchase your own cow! You can read all about it in Joann Grohman's excellent how-to book, Keeping A Family Cow, available on the Selected Books page. If you're too far from suppliers and aren't inclined to go out and get your own cow, it's time to write letters. 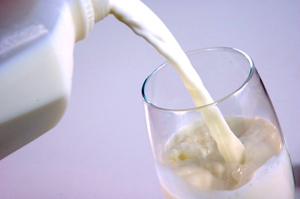 You want clean, raw milk available in stores near your home. It's absolutely your right and duty to demand that your political representatives take steps to allow you access to clean raw dairy products. People just aren't dying in droves in the handful of states where retail sales of raw milk is legal. Look for the state and local "Elected Officials" link in the 'Directories' section on the lower left. Write actual snail-mail letters. They have more impact and are harder to dispose of than e-mail letters. It's been said that each letter received by a politician speaks the same sentiments as 100 other people who didn't take the time to mail one. Get busy demanding your right to clean, healing raw milk. While you're in letter writing mode, also fire one or ten off to your State Department of Agriculture. That's usually the agency which decides whether raw milk can be sold or not. Often, they'll allow sales if the product is labeled "For Pet Use Only." Firmly, but politely request that you be given the right to access clean raw milk as a food choice. Remind them that this food fed millions of Americans long before any government agency decided to regulate our food supply. Tell them what's on your mind. You can make a difference!